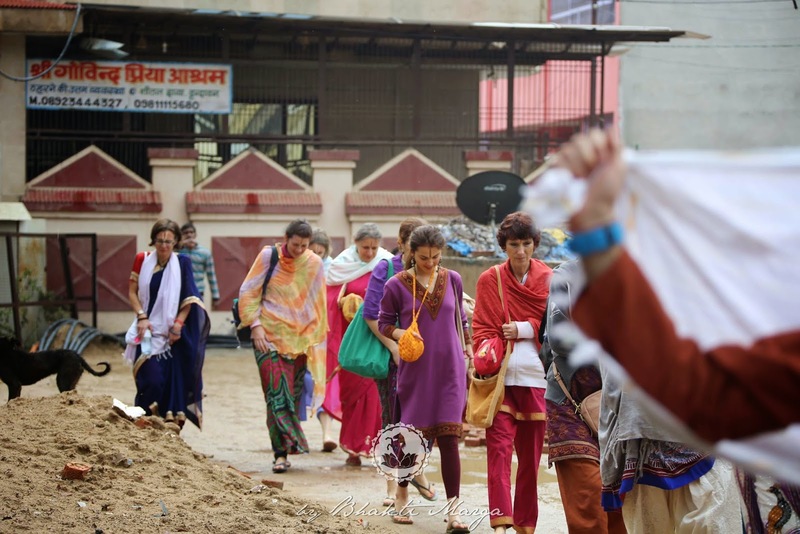 Day 2 of the pilgrimage started with puja early in the morning to Giridhari. Giridhari is Swami’s personal diety that Swami takes when traveling. Today the participants were able to take part in the prayers by singing bhajans, performing arati and receiving darshan of the diety. One can’t ask for a better way to start the day. In the upcoming blogs we will talk more about Giridhari and the amazing story about how Swami received this special diety of Krishna. After breakfast and puja we went to Mathura, the birthplace of Lord Krishna. 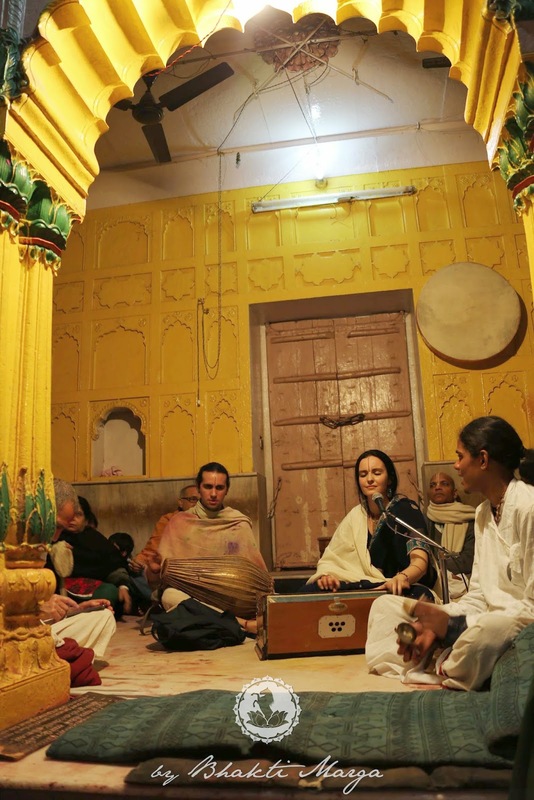 Mathura is located a half hour from Vrindavan, in a very quiet and serene environment. Lord Kirshna was born in a prison cell in Mathura. The prison cell is a symbol of humility. It shows how the Lord through his humbleness is willing to be born in an environment that most people would look down upon. The same acts of humility can be seen with other great masters such as Jesus Christ, who was born in a stable. The amazing thing about the temple is that it’s situated along side of a mosque. The two places of worship stand side by side in harmony. How every culture can find a place in India is one of the most beautiful things about this country. The religious tolerance demonstrated in India is unmatched and stands as an example for the rest of the world. The rest of the day we spent relaxing at the ashram till evening. In the evening we had a very special visit to Shri Radharaman Temple. Unfortunately we entered the temple at the same time it was being closed for evening arati. Instead of leaving we decided to sing some songs before we left. As we started to sing, a large crowd gathered around us and we continued to sing much longer than expected. As everyone was having a great time Swami pointed to the front and hinted that they were preparing something special. 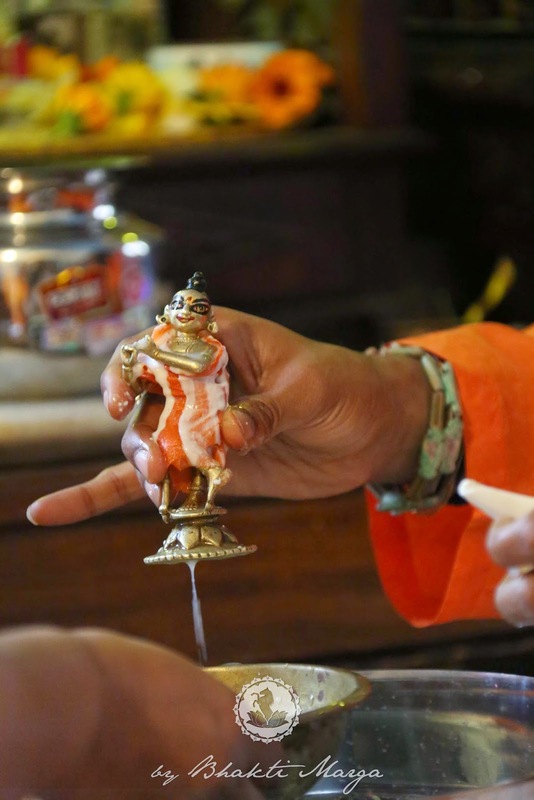 It so happened that rather than doing a normal arati, they brought the murthi to the very front of the temple rather than it being in its normal place further away from the general public. Swami told us it’s very rare that they bring Him to the front. 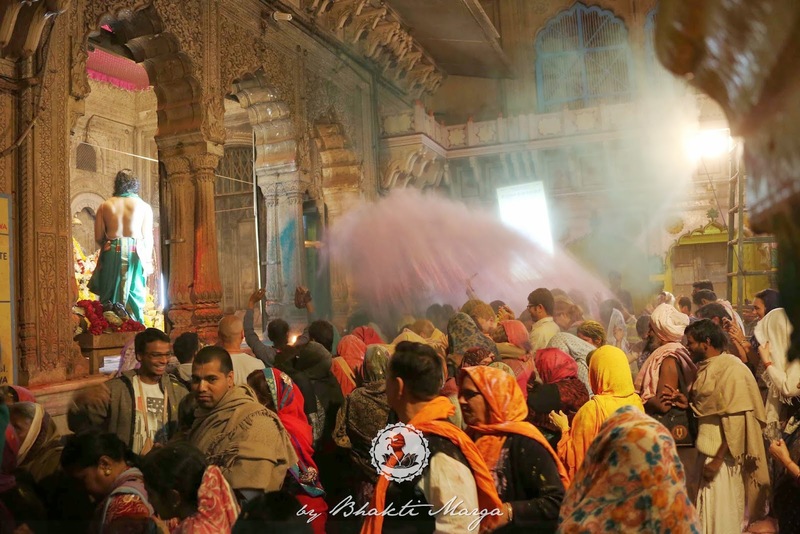 After the curtains opened we had darshan of the deity and celebrated Holi in true fashion by getting drenched in colored water and powder. 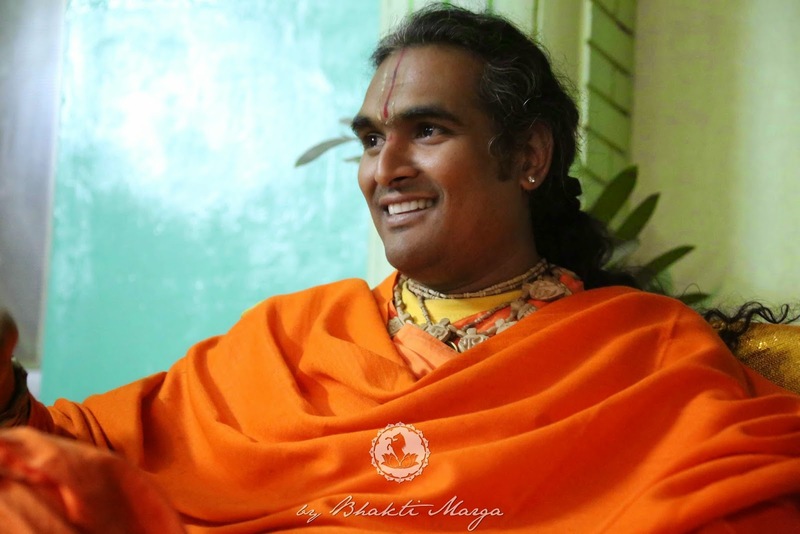 What stands apart about Swami’s teachings and Bhakti Marga is the ability to generate life and Love into any environment. Kirtan is a great way to express our Love for God and through Kirtan we were able to transport this Love to the rest of the people that were at the temple with the Grace of Swamiji.